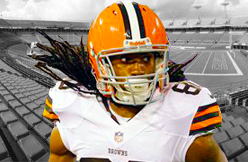 BEREA, Ohio -- Cleveland Browns wide receiver Travis Benjamin did not have the return to regular-season game action that he wanted to have in the 2014 opener against the Pittsburgh Steelers at Heinz Field last Sunday. Benjamin averaged 21.3 yards over four returns, took out a kickoff that was nine yards deep in the end zone and failed to make it to the 15-yard line, and singled for three fair catches on four punt returns. "There would probably one or two returns I felt I could've made a better play at, so we're going to get it started with New Orleans this week," Benjamin said after Thursday's practice. Midway through the second quarter, Benjamin dropped back nine yards deep into the end zone to return a kickoff, but ran out of bounds at the Browns' nine-yard line. Six plays later, the Browns were forced to punt. "It was just miscommunication by my part, knowing that it was a field return, so when I caught the ball and came out of the end zone, everybody just ran over there toward the return, so I just tried to get the best yardage I can and get out of bounds," Benjamin said. "Depending on how the game is, if we know they're slower on kickoff, not getting in their lanes on kickoff, we'll bring it out eight or nine deep. It was just my communication on my behalf that eight or nine deep, knowing the team we're playing against not to bring it out." When he stepped onto the field in Pittsburgh last Sunday, Benjamin was playing in his first game back since tearing an anterior cruciate ligament in his knee in an October loss to the Kansas City Chiefs at Arrowhead Stadium last season. However, he insisted there was no hesitation on his part, "not at all." "When we were reviewing film, I saw that it was one punt return where I fair caught it where I could've caught it and made a move, but it's all about the change of the game," Benjamin said. "If I had questions about my knee, I wouldn't be out there. I wouldn't put myself in the situation to make my team get into bad position." Although Benjamin struggled against the Steelers, he still has the belief and support of his special-teams coordinator, Chris Tabor. "I still have a lot of confidence in Travis," Tabor said. "By no means am I going with 'the sky is falling' after one game. I still look at a young man that still holds the franchise record for the longest return, franchise record for the most yards in a game. "I think that the first pre-season/regular-season game, the first seven times he touched it, he had four touchdowns. I still think it's in there, and it's just his first game back." HOUSTON -- When Texans' quarterback Ryan Fitzpatrick called receiver Andre Johnson a "quarterback-friendly" receiver, it meant more than just the fact that Johnson is an elite talent. It's the little things Johnson does that really help his connection with Fitzpatrick. The body language through which he can communicate with his quarterback, his precision on routes so Fitzpatrick always knows where he's going to be and his intelligence in the offense. "Andre is an easy receiver to throw to, to get on the same page with just because he’s played so much football," Fitzpatrick said. "I think there is not a whole lot that surprises him in terms of coverages and things that he’s gone against." Johnson had six receptions on Sunday, all of them for first downs. "It’s also the communication between not only coach-to-player but player-to-coach and player-to-player that makes Andre such a good player because when he comes off the field, he tells you exactly what he saw," quarterbacks coach George Godsey said. "It’s exactly what’s on the tape when you watch it the next day. You’re able to make adjustments from a coaching standpoint. You’re able to see the coverage when you were looking somewhere else and really take that for the next possession." Greg Olsen Misses Thursday’s Panthers Practice to be With His Son T.J.
Panthers tight end Greg Olsen missed Thursday’s practice to be with his son T.J., who’s recovering from his third open-heart surgery. Olsen did walk into practice, only to leave shortly after he arrived. Because it’s a family issue, head coach Ron Rivera didn’t want to share many details, but the sense is it was something planned more than anything that was an emergency. T.J. Olsen, who was born in 2012 with a congenital heart defect, underwent his third and final scheduled surgery last month. It went well, but it wasn’t the final step in the process. “We’re very fortunate and blessed that he’s responded how he has. We just have to hope to keep him on this track, and if that’s the case, we should be in pretty good shape,” Greg Olsen said earlier this month. SANTA CLARA, Calif. (AP) — Frank Gore wants those around him to notice just how hard he’s running at age 31, seemingly as energetic as ever when everybody is beginning to question when he will slow down. Or break down. So far in 2014, no words are necessary. The veteran San Francisco running back reached another milestone in Week 1, becoming the 29th player in NFL history to run for 10,000 yards — and just the 10th to accomplish the feat while playing for the same team for at least 10 seasons. Despite Gore’s youthful spirit, the 49ers still face a delicate balance between keeping him fresh and giving rookie Carlos Hyde chances. Even with an heir apparent at the ready, Gore isn’t ready to say this season will be his last. There’s still so much he wants to prove, not to mention the unfinished business of winning a Super Bowl. Gore produced his seventh 1,000-yard performance in nine NFL seasons last year, rushing for 1,128 yards and nine touchdowns — one off his career high set in 2009. “He looks good, and he looks that way every year,” running backs coach Tom Rathman said. “It doesn’t surprise us. The bottom line is we’ve got to keep him at that throughout the season. He knows that. It’s hard to go through a whole season and take the pounding and not having help. Gore passed late Hall of Famer Joe Perry to become the Niners all-time leading rusher in 2011. The 49ers are likely to go with the hot hand and some combination of Gore and Hyde as they did in a season-opening win at Dallas. Gore’s first step, foot speed and explosiveness haven’t changed much. Gore received more congratulatory messages than he could count. “A lot of people were happy for me, especially the type of career I had, coming from college, with two ACLs, two shoulders and a hip (injury),” he said Wednesday. 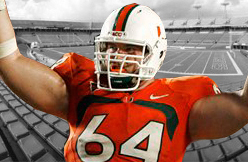 He is always quick to credit the offensive line or key blocker Bruce Miller for his accomplishments and big gains. Gore realizes where he is at this stage of his career, and the need the 49ers have to groom young players behind him. He accepts that, yet it doesn’t change the fact he wants to be a part of every snap. He still thinks back to all the chats he has had with mentors and fellow backs along the way, such as close friend Roger Craig, Marshall Faulk or LaDainian Tomlinson. Now, he is providing that same kind of example for Hyde, and relishing the role. Teammates and coaches have become accustomed to Gore going all out, even in the most basic of drills. It never changes. Vince Wilfork has been around a long time but it doesn’t take 11 years of experience to understand how opponents will react to what they saw out of the Patriots defense in the opener. Wilfork knows the Vikings are aware of how Miami carved up the New England front to the tune of 191 rushing yards, and he knows what to expect in Minnesota come Sunday. Of course that task will be made more difficult due to the presence of one of the game’s best backs in Adrian Peterson. Few ball carriers combine the physical nature and ability to hit the long ball like Peterson, who is just a year removed from a 2,000-yard season. “[I remember] how hard he ran the ball,” Wilfork said when asked about the team’s last meeting, which came on Halloween 2010 in Foxborough. That game marked the return of Randy Moss, who was dealt to the Vikings just weeks earlier, but it also featured some stout play by the Patriots defense. Peterson picked up 92 yards on 25 punishing carries and was held to 3.7 yards per rush with a long of 9. Wilfork understands that things will need to improve if the Patriots are going to keep Peterson similarly in check, and it all starts up front. “The hardest thing is everybody being on the same page,” he began. “You might get one guy or two guys that might overplay a gap and that can cost you. A good back will find that and Peterson will find that. He’s one of the best backs in the game. I’m pretty sure we’ll have some type of zone runs that we’ll have to be ready for. In the rich tradition of high-maintenance NFL wide receivers, Keyshawn Johnson was arguably the prototype, writing his autobiography “Just Give Me the Damn Ball!” when just a rookie. Over the years, other pass-catching divas have taken their case for more throws directly to TV cameras. Wednesday at Redskins Park, 14th-year wide receiver Santana Moss didn’t quibble or sulk after being scratched from the roster for Sunday’s season opener in Houston. If anything, he shied away from the media megaphone, ceding the locker-room interview sessions to his teammates while sitting alone on a couch in the hallway outside, waiting to get back to work on the practice field. The 5-foot-10, 193-pound Moss has not taken his playing time for granted, even as a first-round NFL draft pick in 2001. Today, at 35, the senior statesman on Washington’s roster, his attitude is unchanged. A standout sprinter, long jumper, triple-jumper and wide receiver in his college days at Miami, Moss has learned to adapt to different roles throughout his NFL career. He appeared in all 32 games the past two seasons as Washington’s third wide receiver, behind Pierre Garcon and Josh Morgan. Last season he caught 42 passes for 452 yards and two touchdowns. Most everyone knows of Washington Redskins star wide receiver Santana Moss for his football talents, having grown up locally in South Florida and played football at the University of Miami. But what very few know is that 13 years ago he established the Santana Moss Foundation, a group that helps give back to local communities in South Florida. So what did that have to do with the Town of Medley when a Special Meeting was called this past Monday night? The main purpose of the meeting was to pass resolutions surrounding the 87th Avenue Right-of-Way project, but also present at the meeting was Lily Stefano, the executive director of the Moss Foundation. She was there to answer any questions the council had surrounding a new agreement the town council would ultimately unanimously pass between the Foundation and the town in which Medley will now be able to work with the Santana Moss Foundation and have that foundation serve almost in a capacity as an agent for the town in making applications for social services benefits. Moss is a true local product having grown up and gone to high school in Carol City where he helped lead the Chiefs to the 1996 state championship before walking on at the University of Miami. 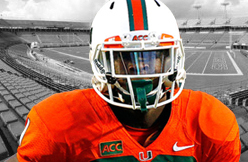 He was awarded a scholarship after just his third game and went on to break the Hurricanes’ record (previously held by Michael Irvin) for most career receiving yards (2,546). He was a first-round draft pick of the New York Jets in the 2001 draft before landing in 2005 with the Redskins, for whom he still plays. “What this is is a direct agreement in which the Moss Foundation agrees to work, cooperate and file applications with the town for funding sources as well as not only funding but in some instances actually acquiring consumable goods,” said Medley Town Attorney Stephen Helfman. “The agreement is terminable by either party, meaning that neither is absolutely bound to each other. If for whatever reason the Moss Foundation finds that this is not in their best interest or if for some reason they feel in any way this is jeopardizing their mission or their rules and regulations, they can terminate or the town can terminate as well, provided there is 30 days notice. “This new deal will now allow the Moss Foundation to serve as a conduit or vehicle through which the town can make applications for certain grants in particular and subsidies that would not normally be available to the municipality if we were to apply in our own name. “If you work through a qualified not-for-profit foundation such as the Moss Foundation, which will be totally disclosed, then we are hopeful that that money can be channeled back through programs that benefit the residents of Medley,” said Helfman. Moss doesn’t just put his name on it and turn it over to other people, either. He is actively involved in all of the projects during the offseason and indeed will make an appearance in the Town of Medley next February when the Moss Foundation holds a specific community fair event, possibly at Medley Town Hall. Stefano said the foundation takes a lot of pride in reaching out to different people who can provide resources for the community. Is Frank Gore building a case for Canton? San Francisco 49ers running back Frank Gore joined an elite club in Sunday's 28-17 season-opening victory over the Dallas Cowboys. Yes, we already know he became the 29th member of the 10,000-yard rushing club. But more than that, Gore is just the 10th player to rush for that many yards while playing at least 10 seasons with one team. Try Emmitt Smith (Dallas Cowboys), Walter Payton (Chicago Bears), Barry Sanders (Detroit Lions), Tony Dorsett (Cowboys), Franco Harris (Pittsburgh Steelers), Thurman Thomas (Buffalo Bills), Fred Taylor (Jacksonville Jaguars), Jerome Bettis (Steelers) and Tiki Barber (New York Giants). All but Taylor, Bettis and Barber are already in the Pro Football Hall of Fame, though Bettis is a four-time finalist for enshrinement in Canton. So it begs the question -- is Gore worthy of Hall of Fame discussion? Or is it too soon to bring up the topic? Consider: Bettis, who rushed for 13,662 yards in his career as a six-time Pro Bowler and two-time All-Pro, went out on top with a Super Bowl ring while Barber was a three-time Pro Bowler, and one-time All-Pro and Taylor went to one Pro Bowl. Gore, a five-time Pro Bowler with 10,033 career rushing yards who has been to the playoffs the past three seasons after being shut out the first six years of his career, has yet to win a rushing title, or be part of a Super Bowl championship team. Besides, a more hearty Canton case for a 49ers running back might first be made for Roger Craig. Plus, Gore is 31 years old and his best days may be behind him, but he still has some run left in him. "There's no shelf life for football players," said coach Jim Harbaugh. "And that's something I learned at an early age from my mom -- never to believe in expiration dates. She taught us that very early -- pay no attention to the expiration date on that can or that milk or that bread. "Now, maybe she was just trying to get things at a lesser cost. Learned that very well. There is no expiration date. Even if the bread had a little mold on it, brush it off or cut it off and eat the other part, but we're not throwing it away. We're not throwing away good food or drink." Or football players that can still contribute and, presumably, continue to build a case for Canton while helping a team that's been to three straight NFC title games finally break through to get the franchise's first Lombardi Trophy in 20 years. Because with the 49ers currently having just two tailbacks on the roster in Gore and rookie Carlos Hyde -- LaMichael James went through waivers unclaimed on Tuesday, a day after requesting and being granted his release from the Niners while unhappy about a lack of playing time -- it's obvious San Francisco still has faith in Gore. And that's just fine with him. After all, it was his 5-yard pickup off right tackle on third-and-3 that sealed the 49ers' victory over the Cowboys. "That's me; I'm a very smart runner," he said, unapologetically. "I've got good feet and great vision. I know my alignments. You see different movement on the defensive line, and you know where they're going. "That's just me being me." JACKSONVILLE, Florida — Jacksonville Jaguars receiver Allen Hurns doesn't want to be a one-week wonder. Hurns caught four passes for 110 yards and two touchdowns — both in the first quarter — in Sunday's season-opening loss at Philadelphia. A 6-foot-3 rookie from Miami, Hurns became the first player in NFL history catch two TD passes in the first quarter of his NFL debut. Hurns and the Jaguars (0-1) insist it wasn't a fluke. "This league is a show-me league," Hurns said Wednesday as the team prepared to play at Washington (0-1). "You can't do it just one week. You've got to do it every week. You don't want to just do it Week 1 and then you go missing after that." Hurns has stood out since signing with Jacksonville as an undrafted free agent in May. Having played under Jaguars offensive coordinator Jedd Fisch at Miami, Hurns knew the playbook cover to cover before he even took a snap in Jacksonville. "That eliminated all the thinking," Hurns said. "I knew all the routes. I knew all the terminology. I wasn't like, 'Oh, what do I have on this play?'" Hurns set a single-season school record in 2013 with 1,162 yards receiving, breaking the mark held by Leonard Hankerson. It was a breakout year for sure, but not enough to get him drafted. He expected to be selected during the second or third day of the draft. Instead, he watched as 33 receivers were chosen during the three-day, seven-round event. Hurns was disheartened to say the least. 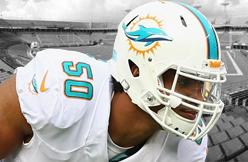 College and NFL teammate Stephen Morris offered a little more insight, saying the two even recalled their angst over breakfast Wednesday morning. "He still wakes up and tells himself he'll never know what it felt like to be drafted," Morris said. As it turned out, it may have been best for Hurns to be a free agent. Instead of ending up on a team as a late-round pick and having to learn a new offense and find a niche, he chose to sign with Jacksonville and reunite with Fisch. It didn't bother him that Jacksonville had two returning starters in Cecil Shorts III and Ace Sanders. And it didn't bother him that Jacksonville had just used second-round picks on fellow receivers Marqise Lee and Allen Robinson. All Hurns e wanted was a decent chance at making the team. "Once I got here, I realized I was blessed for this opportunity and I'm trying to take advantage of that," he said. Hurns started making plays in organized team activities, and after numerous receivers were sidelined with injuries, he really started getting noticed while running with the first-team offense. He made even more progress during training camp while filling in for injured receivers Shorts and Robinson. "Constant improvement," Fisch said. "We were excited about him during the draft process and now he's continuing to improve and really hasn't disappointed us at all." Certainly not in the opener. With Shorts out because of a hamstring injury, Hurns started and caught a 34-yard touchdown on Jacksonville's second possession and added a 21-yard on the next drive. He made an acrobatic catch on the second one, spinning and grabbing a slant thrown well behind him, before breaking through two tacklers near the goal line and diving into the end zone. "He understands defenses and how to attack them," quarterback Chad Henne said. Hurns is a perfectionist, too, which is why two dropped passes in the second half overshadowed all his early success — at least in his mind. "Those were plays I should have made," he said. "At the end of the day, I dropped two passes. If I would have made those two plays, I would have had a hell of a game." Still, it was a heck of an opener. Now, though, Hurns wants it to lead to bigger things and not just be his career highlight. "He might not have another two-touchdown, first-quarter game, but he's going to be productive," Morris said. "He's not going to be one of those guys who's here for one week and then doesn't show up again. It's going to be every week, week-in, week-out." This isn't exactly shocking information, but former Saints linebacker Jonathan Vilma is not happy with the way Roger Goodell has handled the Ray Rice domestic violence case. Goodell, you'll recall, originally suspended Vilma, for the 2012 season for his role in "Bountygate." 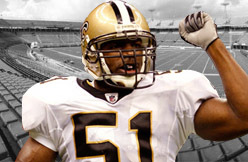 After a judge overturned that suspension, Goodell tried to suspend Vilma and other Saints once again. The group appealed the decision, which led to Goodell asking former commissioner Paul Tagliabue to review the NFL's bounty investigation. Tagliabue did and he overturned the second round of suspensions. Vilma ended up playing in 11 games that season. However, the bad blood with Goodell is still there. After the commissioner's interview with CBS News aired Wednesday morning, Vilma was not buying Goodell's assertion that he asked for, but was not given, the disturbing video of Rice punching his now-wife in the casino elevator. I know firsthand the commissioner will go to great lengths to "gather all evidence" but he purposely did not in this instance. Appalling. If the commissioner had really asked for the video, he would've made it very public & very clear that the casino refused to give it to him. He should be held accountable for his lack of action just like Ray Rice has finally been held accountable for his actions. Former Ravens safety Ed Reed doesn’t think the Ravens have someone that can lead the team in the aftermath of the Ray Rice fallout. He added that the Ravens do have some leaders on the team. Some of which were added this year. “I’m sitting right here with y’all,” he said when asked who in the locker room could say the same. He says there is “definitely a different mentality” from the team he left behind. WASHINGTON (CBSDC) – When Santana Moss arrived at NRG Stadium ahead of the Redskins season-opener last Sunday, he discovered his jersey was missing from his locker. For the first time in his 14-year NFL career, Moss had been designated a healthy scratch. Finding out the way he did was “like no process I have ever experienced in my life,” he told 106.7 The Fan’s Chad Dukes on Tuesday. “Honestly, man, it’s something that, you know, I’ve seen many guys that have dealt with this week in and week out, and I never knew what it felt like until I was a part of it,” he said. The Redskins made some key additions at the receiver position – DeSean Jackson, Andre Roberts and 2014 fifth-round draft pick Ryan Grant are all new to the team – and after factoring in mainstays Pierre Garcon and Aldrick Robinson, Moss is competing against a loaded roster for the right to appear in uniform on Sundays. For Moss, the lone issue wasn’t finding out he’d been scratched, but rather how he found out. And Moss, the consummate professional, even after his storied history with the franchise, doesn’t feel he deserves any special treatment. However, he does maintain he wishes he’d been warned ahead of time. “Yea, and then, being as you hadn’t been through anything like that, you didn’t know what to expect,” Dukes said. The NFL’s two most prolific punt returners square off in Sunday’s 1 p.m. Paul Brown Stadium opener against the Falcons. Atlanta’s Devin Hester is the leader among active players with 13 touchdowns and Bengals cornerback Adam jones is second with five. But Jones has no doubts. Santana Moss didn’t quibble or sulk after being scratched from the lineup for Sunday’s season-opener at Houston. Instead, he got back to work Wednesday with the same attitude he has had since joining the Redskins in 2005, taking nothing for granted. A first-round draft pick in 2001, Moss has learned to adapt to different roles throughout his 14-year NFL career. He appeared in all 32 games the past two seasons as Washington’s third wide receiver, behind Pierre Garcon and Josh Morgan. Last season he caught 42 passes for 452 yards and two touchdowns, averaging 10.8 yards per catch. But this season, Moss has been shuffled back further on the depth chart following the high-profile additions of receivers DeSean Jackson and Andre Roberts, combined with the evolution of Aldrick Robinson and promising debut of rookie Ryan Grant. Working primarily with backup quarterback Kirk Cousins during training camp, Moss was precise with his routes and sure-handed with catches. It was enough to solidify his place among the six wide receivers that Coach Jay Gruden retained on his 53-man roster. ooking to Sunday’s home opener against Jacksonville, Moss should represent a proven option in the slot receiver role, particularly given the hamstring injury that has sidelined tight end Jordan Reed. But Moss isn’t grandstanding for a role, shying away from the media megaphone this week while going about his work on the field. “I look at stuff different than people who might look at stuff and put their head all high and feel like they’re supposed to be this or supposed to be that. I don’t look at it like that,” Moss said in an interview. “I feel like every year is a challenge to even be here, especially at my age and playing as long as I’ve played. Undrafted and unknown, who is Allen Hurns? No doubt two of the hottest names on the waiver wire Tuesday will be Allen Hurns and Isaiah Crowell. Both are undrafted rookies so unsurprisingly both are unknown commodities, but make no mistake, neither Hurns or Crowell are your typical undrafted rookies. But the question is, should you burn high waiver wire priorities on either or both or are they this year's Kevin Ogletree (Akbar Gbajabiamila's words not mine! ), a guy who in 2012 exploded in Week 1 for eight catches, 114 yards and two touchdowns but would largely be unheard from again. My quick answer: Invest heavily in Hurns and yes, invest in Crowell as well, but expect that to be the long play. We'll start with Hurns who went to the U and believe it or not, last year set Miami's single-season record for receiving yards, having passed such luminaries as Andre Johnson and Michael Irvin. Hurns collected 62 catches for 1,162 yards and six touchdowns. (Yes, I know, 1,162 is really the record. I thought it was more as well!) Visual evidence here. Not only does Hurns have the big-school pedigree and the production, but more importantly he has the size and hands to play at a high level. He's 6-foot-3 and just shy of 200 pounds. I.e. prototypical NFL size ladies and gentlemen. His overall draft stock was undoubtedly hurt by his measurable athleticism as he ran a pedestrian 4.55 40-yard dash and didn't blow anyone away with any of his other combine results either. Another cause for concern, and maybe more impactful on his draft status, is a long history of injuries. According to the Florida Times-Union, Hurns tore a meniscus in his knee in high school, a shoulder labrum his sophomore year at Miami, and then a suffered a concussion and a broken thumb his junior year. The setbacks could have broken many a player, but by all accounts, Hurns is a good kid and was named Miami's team MVP, not just because of his stats but because of his attitude as well. "Pretty much, the injuries kept me positive because once you go through that, it humbles you in a lot of ways," Hurns told the Florida Times-Union. And if Hurns was a stock, his arrow would be and has been pointing upwards. He got healthy his senior year, produced, then went to Jags camp, impressed, and as the preseason wore on he got stronger. His efforts were highlighted by a seven-catch, 118-yard effort with a touchdown in his third preseason game. And even though Jags' running back Toby Gerhart warned the fantasy community to watch out for Hurns (fast forward to the 2:10 mark), we didn't listen. And then Sunday happened and holy smokes. His first NFL catch was a 34-yard touchdown strike from Chad Henne. His second professional catch was also a score, but this time he adjusted beautifully to a ball thrown hard behind him, spun and fought off TWO defenders to fight his way into the end zone. Maybe I buried the lead here a bit, but the reason Hurns chose Jacksonville and the reason the rookie is picking up the offense so quickly is because of Jags' offensive coordinator Jedd Fisch. Fisch was Hurns' offensive coordinator at Miami his sophomore and junior seasons. It's always tough to trust rookie wideouts but the reason I like Hurns is the same reason I like Kelvin Benjamin. It's a passing league and the balls have to go somewhere right? Who else does Jacksonville have? Justin Blackmon is out, Cecil Shorts is banged up and just average anyways, Hurns is essentially competing against fellow rookies Marquis Lee and Allen Robinson. I like them odds. Add with confidence as an immediate flex starter in 12-team leagues and an awesome bye week, fill-in guy for everyone else with the upside to be a legit WR2. 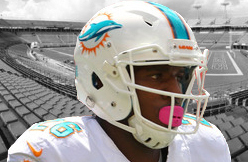 Dolphins OC Bill Lazor indicated Monday that he will continue to shuffle and rotate Lamar Miller and Knowshon Moreno. Both Miller and Moreno played well in Sunday's upset of New England, with Miller more involved in the passing game and as a change-of-pace back. Moreno was the clear-lead back on early downs. "I expect them both to contribute," said Lazor. "There might be days (where) sometimes they may rotate by series and sometimes they may rotate by play if there are particular things they want." For now, we'd view Moreno as an RB2 and Miller as a weekly flex option. INDIANAPOLIS – Indianapolis Colts receiver Reggie Wayne made his first appearance on his weekly radio show on WNDE-AM 1260 in Indianapolis on Tuesday. Wayne talked about what caused a lot of concern in the third quarter against the Denver Broncos on Sunday. He slipped after catching a screen pass from quarterback Andrew Luck. Wayne was slow to get up, causing Luck to sprint over to see if his go-to receiver was OK. Wayne returned to the game after going to the sideline for one play. He finished with nine catches for 98 yards. Wayne tore his ACL against Denver in Week 7 last season. “As I’m slipping, going to the ground, it seemed like everything went into slow motion. It seemed like I could see everything happening all over again,” Wayne said on the show. “I do understand why there are four preseason games because my whole body hurts. I feel like I’ve been hit by a Mack Truck because I didn’t get many reps [in the preseason]. Andre Johnson saw it from the time Derek Carr was just a kid, hanging around the office with his big brother. Things didn’t go exactly according to plan for Derek, the younger brother of former Houston Texans No. 1 overall pick, David Carr. But a few details aside — like playing his college ball at Fresno State — Derek still ended up where he said he would: in the NFL. When the Texans on Sunday face the Oakland Raiders, who took Derek 36th overall in April, Derek will be under center, starting against the team whose facilities he used to frequent as a 12-year-old with wide eyes and a healthy bravado. “Yeah, it just shows you how old I’m getting,” said Johnson, now 33 years old, 11 years after he first met Carr. Johnson and Derek had a close relationship back then. Johnson even went to Derek’s middle school games in Sugar Land, Texas, where Derek played until moving to Bakersfield, Calif., for his senior year of high school. Though the two have lost touch since then, with Johnson neither having seen nor spoken to Derek since Derek headed west, Johnson said he’s very much looking forward to catching up with Derek in Oakland. “I just can’t wait to get a chance to talk to him,” Johnson said. Johnson isn’t the only one excited about it. “It’ll be pretty cool,” Derek said on a conference call on Wednesday. Derek looked sharp last week in his NFL debut, a loss to the New York Jets. Facing Rex Ryan’s fiesty defense, the 23-year-old had 151 yards and 2 touchdowns on 20 of 32 passing for a 94.7 quarterback rating. This weekend, he’ll face a Texans defense whose six points allowed in last week’s win over Washington was tied for the fewest in football. They also pressured quarterback Robert Griffin III on 53.7 percent of his dropbacks, per to Pro Football Focus, most in the NFL. 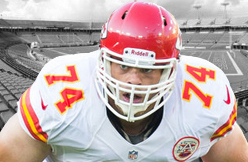 In between trying to help negotiate a new drug policy with the NFL, Eric Winston’s also looking for a job. According to Tom Pelissero of USA Today, the veteran tackle and NFLPA president visited with the Eagles today, but left without a deal. With Lane Johnson suspended and Allen Barbre and Evan Mathis injured in the opener, the once-deep Eagles line has taken significant hits. Winston, like many other veterans, are getting closer looks this week since their salaries wouldn’t be guaranteed for the entire season, as if they were on the Week One roster. Winston was cut by the Seahawks, but has also received interest from the Packers, since Bryan Bulaga will miss a few weeks with a knee injury. Ray Lewis and Ray Rice played together on the Baltimore Ravens for five seasons. Ray Lewis is said to have taken Ray Rice under his wing, treated him as a brother and not just a teammate. Lewis was the unquestionable leader of those teams on the field and was often the vocal leader off the field. Lewis, who now has a statue bearing his likeness outside of the stadium, had some stern words for Rice. Monday night on the set of ESPN‘s Monday Night Countdown, live from Detroit, before the Giants-Lions face-off. “I’m disappointed. This is personal for me,” Lewis explained. Ray Lewis explained that he witnessed his mother suffer domestic violence growing up and the new footage struck a personal cord with him. “That was one of the greatest things that drove me in my life, which was to make sure a man never touched my mom again. I witnessed that and there were times I went through beatings with her,” Lewis said. 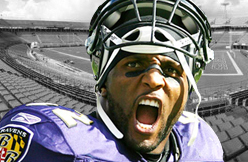 Now, Ray Lewis is known for his passion, but host Suzy Kolber tried to question and compare the treatment of Rice getting cut for domestic abuse and the treatment Ray Lewis received during his 2000 murder trial, in which was charged with two counts of murder and he pleaded guilty to obstruction of justice. 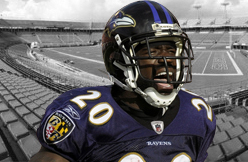 Lewis said that he has texted Ray Rice and plans on visiting him when he returns to Baltimore. Lewis spoke sternly about his brother, but he will still be there for his brother. It was just one loss, but yes, it has Antrel Rolle just a little bit worried. On Tuesday, during his paid weekly spot on WFAN, the Giants safety admitted that Monday night’s blowout loss to the Detroit Lions could lead some of his teammates to recall last year’s season-opening six-game losing streak. Mostly, though, he called for his teammates to show more effort and intensity on the field. Manager Ron Roenicke removed the struggling Braun from the starting lineup Tuesday because his hand/thumb was bothering him even more of late. The former all-star has performed poorly at the plate since the all-star break, batting .230 with seven homers and 26 RBI. On this home stand, Braun was 3-for-15 (.200) with one RBI. Asked about his thumb over the weekend, Braun declined to get into specifics about how it has affected his play. But Roenicke indicated it's not just the right thumb but also that hand that has prevented Braun from gripping a bat properly. To state the obvious, thumb/hand injuries are troubling, power-sapping things that tend to linger, and that's precisely the case with Braun right now. Braun's batting .273/.323/.471 on the season with 18 homers in 118 games. That's well below the former MVP's usual standards, and, as Haudricourt points out, he's been trending downward of late. Suffice it to say, this isn't good news for the Brewers, who, despite their ongoing spiral, remain in the race for a playoff berth. Maybe Jon Jay is waiting to tell us, "I told you so." Or maybe he's not that type of guy. Or maybe he knows that little good can come from gloating. At this point, Jay doesn't need to say a word about how he was dismissed by the Cardinals' front office last offseason. He has said far more with his performance than he could with any verbal retort. How's this for a message: a .316 batting average and .388 on-base percentage, both the best on the team. Jay's play has said even more in the second half. 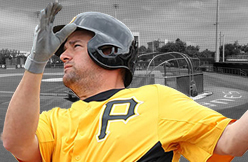 He leads the NL with a .459 on-base percentage and is second, by one point, with a .366 batting average. He has reached base or driven in a run in 40 of the 43 games he's played since the All-Star break, and he was used as a pinch hitter in one of three he didn't. His defense in center field hasn't been quite Peter Bourjos-esque, but Jay has made more than his share of highlight plays. He also has provided the club with valuable versatility with his ability to move to either corner outfield spot and allow Bourjos to roam center. When a group of reporters was talking to Mike Matheny the other day, one suggested that if the league did a second-half MVP award, Jay would be a prime candidate. "He'd get my vote," Matheny said. If Matheny took a little time to reconsider, he might opt for Matt Holliday or Matt Carpenter because both have enjoyed more productive second halves. But maybe not. Matheny can appreciate more than anyone what kind of team player Jay has been. Matheny, remember, was the quiet voice in the corner who refused to hand Bourjos the center-field job after the David Freese trade last November. When Jay wasn't playing regularly earlier this season, he could have given Matheny a headache by causing a disruption. With a number of teammates in his corner, if Jay had complained, he could have soiled the clubhouse chemistry. But he remained professional. Matheny said while Jay let him know he wanted to be in the lineup, he did not whine. He told his manager he'd do whatever was needed and that he would remain ready for whatever. "He means it," Matheny said. Jay has said even less to the media this season. Never a go-to quote, in past years he would at least try to provide a bit of insight in interviews. This season, it's been cliche city or nothing. "Just trying to take it one day at a time," he has said more than once after a big night. "Just trying to play my part." Typically, he says this with what is a grin, a snicker or, most likely, some combination of the two. Jay is a smart dude and knows what he is doing. While he has every reason to be displeased with how the Cardinals have treated his playing time in recent years, he knows that complaining to the media would cause him nothing but trouble. The team wouldn't be happy and, if his play were to slip, fans would be all over him. Unless he is a superstar, any player who speaks out to the media is not likely to help himself at contract time, either. If Jay had made waves after the Cardinals traded for Bourjos, they might not have been as willing to give him a raise from $524,000 to $3.25 million in his first year of arbitration. Now his improved play has complicated the Cardinals' upcoming offseason plans, though in a good way. Will the Cardinals turn center field over to him in 2015 -- which would mean another hefty pay hike in arbitration? Or will they again seek an upgrade in center field? They really have no other obvious spots to address among position players. The way it stands today, the 2015 lineup is virtually set already with Matt Adams at first, Kolten Wong at second, Jhonny Peralta at third, Carpenter at third, Holliday in left and Oscar Taveras in right. The way Jay and Bourjos have played lately, why not bring both back? The majors are not exactly stocked with available center fielders who would make obvious upgrades. Whether it's with the Cardinals or not, Jay has put himself in a strong situation with his play and approach. No shortage of teams would covet a versatile outfielder who has played deep into the postseason in three of his four big-league seasons and was a playoffs regular in the minors. A guy who is tough enough to play with a sore left wrist during this second half, a guy who impresses even his old-school manager by the way he shrugs off hit by pitches. Jay has been hit a lot, too -- a NL-most 46 times in the past three seasons -- but always takes the plunking, drops his head and quietly jogs to first base. "It always hurts," Jay admits, then catches himself. "But it's just part of the game." Jay's ways on the field and in the clubhouse can only help him. It's like A.J. Pierzynski says: "It's always about winning. If you win, you set yourself up financially, so they go together." Well, Jon Jay has been a winner for the Cardinals. That he hasn't had to remind us makes him an even bigger winner. The worst team in the AL East tries to avoid a sweep to the best team in the division when the Red Sox and Orioles play each other in a daytime game at Fenway Park today. Red Sox second baseman Dustin Pedroia revealed last night that he's been playing with a sore left wrist and hand all season since injuring it during the home opener. Pedroia is out of the lineup today as the Red Sox ponder shutting him down for the rest of the season, and the second baseman could end up having surgery on the wrist. "I could rest, continue to play or [have] surgery," Pedroia said after last night's loss. "There's three things we can do. We'll come up with a plan the best we can that's best for the team." Brock Holt -- who is expected to take over the reigns at second base in Pedroia's absence -- will miss his fifth straight game today. Jemile Weeks will replace Pedroia at second today. As he's done so many times before, Andre Johnson had 90 or more receiving yards in a game, and he continued his climb up the all-time list. The longest-tenured Texan caught six passes for 93 yards in the victory over Washington, and in the process, moved past Hall of Famer Art Monk into 16th place on the all-time yardage list. Monk had 12,721 career receiving yards, and Johnson now has 12,754. “When I came into this game, I never thought about being even in that category," Johnson said. "Coming in as a kid, you always say that you want to be the best, but you just want to come out and play football." Johnson missed OTAs and minicamp during the spring, so he was a bit behind when he rejoined the team at the start of training camp. He showed no signs of rust on Sunday, however, as he led the team in both yards and catches. The victory, however, was the sweetest part of the day. After the game, head coach Bill O'Brien singled out the Pro Bowler for praise, and described why. "Andre Johnson is a guy who has put his heart and soul in to this organization and I’m happy for a guy like him and many others," O'Brien said. Quarterback Ryan Fitzpatrick was asked about his chemistry with Johnson, but quickly gave the credit to the All Pro. “I contribute the chemistry really to Andre being a great receiver," Fitzpatrick said. "He’s a quarterback’s dream in terms of being in the right spot at the right time." Next up on the career yardage list is Irving Fryar, who's in 15th place with 12,785 yards. With 32 yards, Johnson will pass him. 1. Anquan Boldin (Cardinals), 2003 Week 1, 31 points versus Lions. 2. Louis Lipps (Steelers), 1984 Week 1, 30 points versus Chiefs. 3. Jim Brim (Vikings), 1987 Week 3, 29 points versus Packers. He was a replacement player during the three-week player strike. 4 (tied). Bobby Johnson (Giants), 1984 Week 1, 25 points versus Eagles. 4 (tied). Rick Upchurch (Broncos), 1975 Week 1, 25 points versus Chiefs. 6. Mike Siani (Raiders), 1972 Week 1, 23 points versus Steelers. 1. Doug Baldwin (Seahawks), 2011, 14 points versus 49ers Baldwin did enjoy two better games than this in 2011, scoring 19 points in Week 5 and 15 in Week 14, and he averaged 6.2 fantasy points per game en route to 99 total, good for 38th at the position. 2. Danario Alexander (Rams), 2010, 13 points versus Chargers His was the only one that didn't occur in Week 1 -- his debut occurred in Week 6, as he bounced between free agency, the practice squad and active roster partly due to injury concerns in college -- but he couldn't replicate the performance the rest of the year, twice scoring nine points (Weeks 12 and 16) but ultimately totaling just 34 fantasy points in eight games all year. 3. Andre Brown (Dolphins), 1989, 11 points versus Bills He's not the ex-New York Giant, he's the University of Miami wide receiver who played for the Miami Dolphins from 1989-90. Brown scored 16 fantasy points in Week 8 and 13 in Week 11, averaging 5.5 points per game during the year but missing three contests. 4. Oronde Gadsden (Dolphins), 1998, 10 points versus Colts His point total came on one 44-yard TD catch. He failed to crack double digits in any of the Dolphins' next six games, before emerging as a viable fantasy option after that. Gadsden managed three more double-digit games -- 12 in Week 9, 16 in Week 12 and 11 in Week 17 -- and averaged 6.4 points per game for the season. Hurns made the Jacksonville Jaguars' roster on the strength of his preseason -- in particular his seven catches for 113 yards and a score during their third game -- and earned his opening-week start after Cecil Shorts was scratched with a hamstring injury. Whether Hurns' opportunity will remain as large following Shorts' return is the question; Week 2 might be the best test. After all, after catching four of his five targets for 110 yards and both of his scores before halftime, Hurns went without a catch on his three targets during the second half. Arlington, Texas -- The big statistical moment for Frank Gore came in the third quarter Sunday when, on first down from the 49ers' 30-yard line, he ran for 4 yards. With that carry, Gore moved into the 10,000-yard club, joining 28 other members. The definitive Gore moment actually came later. Toward the end of the fourth quarter, with 1:42 to play and Dallas still with a flickering hope, Gore ran 5 yards for a first down, allowing the 49ers to run out the clock and off the field. "That's me, I'm a very smart runner," Gore said. "I've got good feet and great vision. I know my alignments. 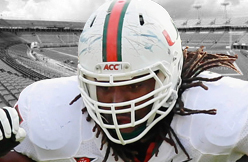 You see different movement on the defensive line and you know where you're going." Gore isn't falsely modest, nor should he be. Another of his signature moments came in December, when he dropped to the field after a 51-yard carry late in a home game against the Seahawks. His heady move forced Seattle to use its timeouts and set up a 49ers win, their only one in their past four tries against Seattle. Gore has long had to be his own biggest believer, doubted time and again. Now 31, he's once again hearing the whispers, and the ticking clock, both because of his age and because of the addition of impressive rookie running back Carlos Hyde. "I've heard all the doubters," he said. "I want to prove everyone wrong." Gore is, more than any other player, the one who carried this team out of the darkness. He could be headed to the Hall of Fame, though a Super Bowl win would cement his career. In addition to crossing the 10,000-yard plateau, Gore is one of 10 players to gain those yards in 10 seasons with one franchise. That puts him in an even more elite group, along with six Hall of Famers (Emmitt Smith, Walter Payton, Barry Sanders, Tony Dorsett, Franco Harris and Thurman Thomas). "It is a pleasure to be on the same field with this guy," linebacker Patrick Willis said. Gore finished with 63 yards on 16 carries. Hyde, who appears to be the best all-around running back the 49ers have drafted since Gore, ran for 50 yards and a touchdown on seven carries. Hyde might be the future, but don't push Gore out the door. He's still too good and too smart. "That's just me being me," Gore said. Which, for the 49ers, is just perfect. FLOWERY BRANCH, Georgia — Before the Atlanta Falcons decided to sign Devin Hester, they wanted to make sure he wasn't content just returning kickoffs and punts. Hester persuaded the team there was more to his game. Then he went out and proved it in his debut with the Falcons. Hester made five catches for 99 yards, including a key reception in the final minute of regulation that set up the tying field goal against the New Orleans Saints. The Falcons won in overtime, 37-34. "It was not the least bit surprising," coach Mike Smith insisted Monday. Then again, there was plenty of skepticism after the Falcons doled out big money to sign Hester as a free agent. While no one doubts he is perhaps the greatest return specialist in NFL history, it seemed unlikely the 31-year-old would make much of an impact when the offense was on the field. After all, he had not caught a pass for Chicago since December 2012. His last significant contribution as a receiver came four years ago, when he had 40 receptions and four touchdowns with the Bears. "We sat down with him and had a very frank conversation, what our thoughts were and what we wanted him to bring to the table," Smith recalled. "He told us he was not just a return man, he was a wide receiver, too, and one who could help us. He told he would come here to compete for playing time in the wide receiver group." The Falcons seemed largely set at that position, with Julio Jones and Roddy White both healthy, joined by emerging third receiver Harry Douglas, who had a career-leading 85 receptions last season when the two starters were hit with injuries. But Hester, who is only 5-foot-10, still has plenty of speed and shiftiness. He gives quarterback Matt Ryan another target who can work out of the slot in much the same way as Douglas, helping to compensate for retirement of tight end Tony Gonzalez. For one game, at least, it went about as well as the Falcons could've hoped. While the defense struggled to stop Drew Brees and the Saints, Ryan spread the field and threw for a franchise-record 448 yards. Overall, the Falcons piled up a staggering 568 yards in total offense. Jones had seven catches for 116 yards. White hauled in five receptions for 72 yards, including a touchdown. Douglas grabbed six passes for 69 yards. Gonzalez's replacement, Levine Toilolo, chipped in with three catches and a TD. All four running backs had a catch as well, including a short throw that Antone Smith turned into a 54-yard score. "We came out," Hester said, "knowing that it was going to be a tough fight, knowing points were going to be thrown on the board left and right. And with Drew Brees, knowing the type of offense that he runs, we were going to have to put up a lot of points. As a receiver, we knew that it was going to come down to us." The Falcons don't expect those numbers from Hester every game, but hope the opener will lead teams to shade more coverages in his direction. That would open up more opportunities for Jones and White. "That's really what it's all about when you have playmakers," Smith said. "The more you have, the better opportunity you have to move the football and score points." Hester didn't have much impact in the return game, bringing back one kickoff for 21 yards and one punt for just 1 yard. Smith said that could change when the team gets away from the Georgia Dome, where ideal conditions make it easier to position punts or boom kickoffs through the end zone. The Falcons (1-0) travel to Cincinnati on Sunday to face the Bengals (1-0). "We didn't want him to come here just to be a punt and kick returner," Smith said. "He told us he would help win games any way he could." Early on, he's been true to his word. In 2000, when Ravens linebacker Ray Lewis was charged with murder and later agreed to plead guilty to obstruction of justice and testify against his co-defendants, the Ravens stood by him. Today, the Ravens decided to stop standing by running back Ray Rice. In the opinion of Lewis, that’s because his own case is a lot different from Rice’s. Lewis, now an ESPN analyst, addressed the situation on the air today. Lewis said he talked to Ravens owner Steve Bisciotti today, and that Bisciotti said he hadn’t seen the video of Rice punching his wife until TMZ posted it this morning. Lewis said Bisciotti’s visceral reaction to that video explains why Bisciotti decided to terminate Rice’s contract. Lewis, who revealed on the air that as a child he witnessed a man physically abuse his mother, also said he was personally upset by seeing Rice punch his wife. Lewis said he has tried to be a mentor to Rice. “I’m disappointed. This is personal for me so I’m torn because this is a guy, a young man, that I really took under my wing and tried to mentor,” Lewis said. Lewis said he considers Rice a friend and cares about him. But Lewis does not want to be compared to Rice. Grandal has used starts at first base to strengthen his surgically-repaired right knee, the San Diego Union-Tribune reports. Regarding his normal position, catcher, he said, "It got to a point when I went past the halfway mark this year, I was doing pretty good but my legs just started getting tired. That might've been one of the reasons I went to first a little bit more. So far, I'm happy with where I'm at. It's just another stepping stone." Entering Monday's game, Grandal has taken on first base in seven of his last nine appearances, as Rene Rivera continues to garner most of the starts at catcher when one of the Padres' big three (Andrew Cashner, Ian Kennedy, and Tyson Ross) toes the rubber. A surprising development is their respective years at the plate. Rivera has been far more consistent, hitting .248/.316/.420, while Grandal has belted a career-best 11 homers opposite a dismal .209/.304/.361 line. Although their division of time behind the plate is warranted, Grandal intends to return to everyday duty as a backstop during winter ball in the Dominican Republic. If all goes well, the Padres' competition at catcher will be one of the more intriguing battles of spring training 2015, especially if top prospect, Austin Hedges, is given an opportunity to stick with the big club during camp. PHILADELPHIA | When you talk to a veteran about a rookie in August, usually you will hear a familiar phrase. Jaguars rookie receiver Allen Hurns showed he can do it when it counts Sunday. Hurns continued his unlikely climb on the offensive priority list in the team’s 34-17 loss to the Eagles. The former University of Miami standout caught four passes for 110 yards and two touchdowns. He became the first undrafted rookie to catch two touchdowns in his first game since the New York Giants’ Bobby Johnson in 1984. These weren’t garbage time catches either. Hurns helped the Jaguars grab a 17-0 lead at halftime. The 6-foot-3, 195-pound Hurns scored his first touchdown showing his speed and crisp route running. He easily beat cornerback Cary Williams on a post pattern that quarterback Chad Henne was a bit late on throwing. Hurns slowed but was still able to catch the ball in the end zone, despite Williams pushing him down as the ball arrived. On Hurns’ second scoring grab, he ran a shorter post route and Henne threw the ball significantly behind him. Hurns made the adjustment to reach back and catch the ball. He then kept enough speed and power to drag safety Nate Allen and linebacker DeMeco Ryans the final three yards into the end zone. Two catches, two touchdowns. Hurns became the second NFL rookie to ever do that, joining Detroit’s Charles Rogers. Hurns seems to be a gift from the football gods to amend for years of bad karma for the Jaguars when it comes to disappointing receivers. To Henne’s credit, he quickly built a strong chemistry with Hurns in the early stages of the offseason program. Henne’s trust in Hurns is so strong that with the offense backed up at its 1-yard line, he threw deep. Hurns responded with a 46-yard grab down the sideline, a gain that led to a field goal. Hurns hasn’t been fazed at any stage of his first several months in the NFL. He led the NFL with 232 receiving yards in the preseason. Sure, there were rookie moments for Hurns. He dropped two passes in the second half. One was on a deep sideline route on a ball perfectly delivered by Henne. On another, Hurns got drilled over the middle as the ball arrived. Those were the plays Hurns remembered most. He never smiled in his postgame press conference up on the podium in front of dozens of reporters. He had made history, but you would have never known it. Hurns has out-produced both receivers the Jaguars selected in the second round of the NFL draft in May. Lee caught six passes for 62 yards in his debut. However, three of those catches (for 36 yards) were in the final minute with the Eagles leading by 17. Robinson, who missed every preseason game with a hamstring injury, caught one pass for no gain. The (good) dilemma for the Jaguars is that it’s difficult for an offense to have four wide receivers getting a bunch of targets. Veteran Cecil Shorts remains the team’s top option for now when he’s able to play. The Jaguars also must continue to push Lee and Robinson to develop into the players they envisioned when they invested so highly in them. One of those three could have to take a back seat at some point. Hurns shows no signs of not being an impact player for the offense. After one game, he stands 756 yards and four touchdowns away from owning the team's rookie records in both categories. Devin Hester caught 5-of-6 targets for 99 yards in the Falcons' Week 1 win over the Saints. The Falcons made it clear they planned to use Hester in the passing game during the preseason, and made good on that promise Week 1. Hester made several big plays against New Orleans, and looked dangerous with the ball in his hands. Still, we have seen the Hester as a wide receiver movie enough times to know this will not work out in the long run. He is best left on the waiver wire. 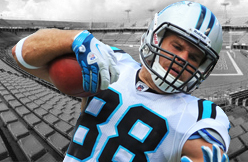 Greg Olsen secured 8-of-11 targets for 83 yards and a touchdown in the Panthers' Week 1 win over Tampa Bay. Fill-in QB Derek Anderson showed a willingness to force passes in Olsen's direction, peppering him down the seam and out wide. Olsen nearly came up with a second touchdown catch in the fourth quarter, but it slipped away from him as he dove. Still, Olsen was terrific, playing with obvious athleticism and physicality. He's a mid-range TE1 entering a Week 2 date with the Lions. ARLINGTON, Texas – Running back Frank Gore became the 29th running back in NFL history to reach 10,000 yards in career rushing on Sunday. Gore, who entered the season opener against the Dallas Cowboys with 9,967 yards, went over the 10,000-yard mark early in the third quarter on his seventh rushing attempt. A 10-year professional, Gore moved into 28th place on the all-time rushing list, surpassing Ricky Williams’ total of 10,009 yards. Williams played for New Orleans, Miami and Baltimore in his career, which stretched from 1999 to 2011. 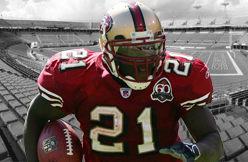 Gore surpassed Hall of Famer Joe “The Jet” Perry in 2011 to become the 49ers’ all-time leading rusher. Gore compiled seven 1,000-yard seasons in his first nine NFL seasons. In 2010, he rushed for 853 yards in 11 games before sustaining a hairline hip fracture. Upon his return in 2011, he has not missed a game. Gore ranks third among active NFL running backs in career rushing yards. Atlanta’s Steven Jackson entered the season with 10,678 yards, while Adrian Peterson began the day with 10,115 yards. A third-round pick in the 2005 draft, Gore on Sunday started his 45 consecutive game – the longest current streak in the NFL. The Patriots had every reason in the football world to believe they'd start the regular season with a victory against the Dolphins today, so now they've got even more reasons to be ticked off that they were handled in a resounding fashion. They were ticked, for sure, but there was also a theme in the locker room, especially among the veterans. They'll be better, and it's only one loss with 15 to go. "It’s not how you start (the season)," Vince Wilfork said. "It’s how you finish. We started (crappy). I’ll tell you that, but we’ll get it together." The 33-20 loss exposed issues on the offensive line and with their run defense, and they made plenty of other mistakes, too -- a blocked punt, nine penalties for 100 yards, missed tackles, a muffed punt, etc. "We can’t hold our heads down," Wilfork said. "It’s a long season. We definitely have to get better. We will get better." The Patriots locker room typically resembles a morgue after a loss, but they preached a forward-thinking philosophy while already looking ahead to the Vikings. "Very confident, we’ve got to put this in the past and move on," Darrelle Revis said. "That’s how you’ve got to look at it. We’ve got 16 of these games. It’s a very long season. The only thing we can do is make the corrections and get better as a team, as a whole. The next time we see them, hopefully we have the answers to execute better when we play." DENVER — The Indianapolis Colts weren't able to finish the job Sunday night at Sports Authority Field at Mile High, but Reggie Wayne finished. And that, in the end, was one of the primary objectives of the team's relentless and rehabbed receiver. In his first game since suffering a season-ending knee injury Oct. 20 against these same Denver Broncos, Wayne made up for lost time. He finished with nine catches for 98 yards. But again, the important aspect was he finished. "Just to finish the game, show my teammates that I was back out there,'' Wayne said after the Colts' 31-24 loss to Denver. "Like I've been saying, I don't have anything else to prove to anybody else. Wayne dealt with pregame jitters, but started quickly. On the Colts' first offensive snap, quarterback Andrew Luck found a crossing Wayne for a 22-yard completion. "It was good to have Reggie back,'' Luck said. Added coach Chuck Pagano: "It's like the Reggie of old. We didn't have to monitor how many plays here or there. Wayne, 35 and in his 14th season, continued to establish milestones. He's now had a catch in 191 games, setting a club record he had shared with Marvin Harrison. He had at least three receptions for the 72nd consecutive game, extending his own NFL record. All that was missing was a suitable closing kick. With the Colts in furious comeback mode but facing a fourth-and-6 at the Denver 39 with 1:57 remaining, Wayne was unable to gather in a Luck pass. Broncos cornerback Bradley Roby was credited with a defended pass on the play. It appeared Roby might have jostled Wayne before the football arrived, causing Wayne to slip. As stirring a return as Wayne enjoyed, he forced Colts fans to hold their collective breath midway through the third quarter. He went down awkwardly, twisting his right knee. Wayne trotted to the bench for a play, then returned. Wayne noted he's not the most flexible player on the team. Wayne considered the season-opening loss a bittersweet moment. Being dropped into a 24-0 second-quarter hole by the defending AFC champions was discouraging. The second half comeback, though, once again revealed the Colts' resilient nature. "I know what we're capable of doing,'' he said. "I know what kind of team we have. As you can see, no one gave up. Everybody continued to fight. Offensive tackle Jason Fox turned out to be the only decision among the Dolphins’ inacties for Sunday’s game against New England. And all six undrafted rookies are active. 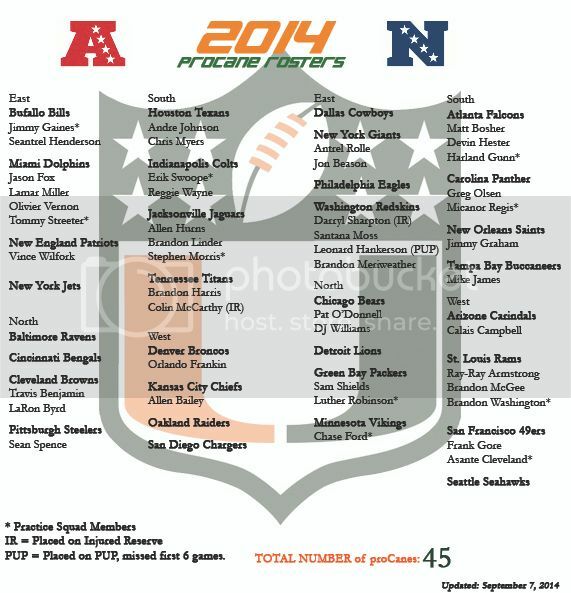 The other inactive players – center Mike Pouncey (hip), linebacker Philip Wheeler (right thumb), defensive tackle Bruce Gaston (signed days ago), guard Billy Turner (turf toe), and defensive end Terrence Fede (knee) -- all legitimate reasons for their inclusion on the list. Fox, the former University of Miami player, turned out to be the eighth offensive linemen, in a matter of speaking, The Dolphins usually have seven offensive linemen active on their 46-man gameday roster. HOUSTON -- Redskins receiver Santana Moss was named a healthy inactive for the first time in Washington. It's only a mild surprise, but I wasn't sure if they would opt for Moss and his experience or rookie Ryan Grant. But considering how much they gushed over Grant this preseason -- publicly and privately -- it's not a huge shock that Moss would be inactive. Moss was last inactive in Week 11 of 2011, but that was for an injury. The one reason that this decision gave me pause: Moss' ability to return punts if something happened to Andre Roberts (yes, DeSean Jackson could pinch hit quite well if that was the case). Both players can run routes from any of the three receiver spots -- you would expect that from Moss given his experience. But it also reveals how far along Grant is as well. The other inactives weren't surprising at all: quarterback Colt McCoy, corner Tracy Porter, linebacker Akeem Jordan, guard Spencer Long, tackle Morgan Moses and defensive end Frank Kearse. Both Porter and Jordan have injury issues that sidelined them for Sunday. Porter has been dealing with a hamstring injury while Jordan has a sprained MCL. Long and Moses are rookies and, this preseason, showed that they have a lot to learn. His name is Bruce Johnson, and he’s a starting halfback for the Winnipeg Blue Bombers. He’s totally cool with that. “It’s good that they haven’t said my name for messing up,” Johnson said Friday. The Bombers completed their preparations for Sunday’s 11th annual Banjo Bowl at Investors Group Field, where once again Johnson will be tasked with covering one of the opposing team’s top receivers. The fact not a lot of people have heard of Johnson is a good thing, because it means he hasn’t been getting torched. He’s ready to break out of his shell, though, because he played his college ball at the University of Miami, where they invented swagger. Johnson is the reason the Bombers traded Alex Suber to the Toronto Argonauts earlier this week. When Suber went down with a hamstring injury in the second pre-season game, Johnson stepped in and didn’t let go of the starting role. He is one of four Bombers with interceptions this season, and the list of receivers he has shut down is an impressive one. He has lined up against the likes of S.J. Green, Fred Stamps, Jason Barnes and Weston Dressler, whom he will see again on Sunday when the Saskatchewan Roughriders pay their annual post-Labour Day visit. Another reason you why might not have heard of Johnson is because opposing teams might be steering clear of him, lest he pluck the pigskin out of the air and take it the other way. He must be doing rather well, because the Bombers secondary as a whole is winning the majority of its battles this season. An opposing receiver has yet to hit the century mark against the Blue and Gold, who have turned the trick three times in 10 games. Winnipeg is fourth in the CFL when it comes to fewest passing yards allowed per game. Plenty of that success can be attributed to Johnson, who made the New York Giants as an undrafted rookie in 2009 and proceeded to record the first pick six in AT&T Stadium, the home of the Dallas Cowboys, off Tony Romo. It was his second career game. Johnson earned the most performance-based pay of any Giants player in 2009, giving putting half a million dollars in his bank account when all was said and done. At this point he was probably thinking he would be in the NFL for as long as he wanted. Injuries, however, put him on a path to the Canadian prairies. He injured his knee six games into the 2010 campaign and then tore his Achilles tendon during New York’s 2011 training camp. 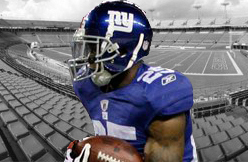 He went back to Giants camp in 2012 but suffered a serious shoulder injury and the G-Men released him. Just like that, his NFL days were over. After spending a year waiting for the call that never came, Johnson decided to turn his attention north. He had no problem starting over in a new league that was in a different country. FOXBOROUGH — Vince Wilfork was not a very good patient. Within one week of his surgery Oct. 1 to repair a torn Achilles’ tendon, his wife/nurse, Bianca, already was laying into him, after she caught him trying to walk up the stairs in their home. Eleven months later, he chuckles at the memory. She lets out a sigh. “With this injury they were saying, ‘You can’t be walking, you can’t be up,’ and I was like, ‘Man, I need to go do this,’ ” Wilfork said at his locker last week. “I was never in that predicament where I had to sit down all day. She told me I couldn’t walk up the stairs by myself and she caught me one day and she chewed me out from left and right, so I said, you know, that’s the last time I’m going to do that because if I fell there was nobody there and I might have messed up the surgery, so she was right. “I gave him the business. I cussed him out,” Bianca said. “I know how frustrating it is because I’m not the best patient, but fortunately for me I don’t have anybody else to tell me, ‘Oh, no, you’re not supposed to do this,’ because he doesn’t know what I’m supposed to do and not supposed to do, but I know, so that gave me the upper hand. The Patriots drafted Wilfork out of the University of Miami in 2004, and when he took the field for a Sunday night game against the Falcons last season, it was the 142d regular-season game of his career. He had missed just six over his first nine-plus seasons, three each in 2006 and 2009. But on the first defensive series for the Patriots, Wilfork felt something pop. He believed he’d been kicked or maybe rolled his ankle. Bianca, sitting behind the New England bench like she does for every road game, knew it was far worse. Bianca cried as a team official led her back to her husband, but just before she went into the room to see Vince, she stopped. Plans had to be made. They would need help with their three children, getting them to and from school and their various activities. Vince would be undergoing surgery shortly after they returned home. After Wilfork came out of surgery, the couple tweeted a photo, his lower right leg bandaged, giving a thumbs-up and thanking fans for their support. Amazingly for someone who has played football for more than two decades, it was his first surgery. Then, Wilfork hunkered down at home. Wilfork became a mentor to young defensive tackles Joe Vellano, Chris Jones, and Sealver Siliga, who were thrust into major roles after Wilfork’s injury, and a week later, a season-ending injury to Tommy Kelly. Belichick even allowed Wilfork to travel with the team, once he was able to be on the sideline. It is not a privilege the coach proffers often — over the last seven or eight years, only Wilfork, Matthew Slater, and Kevin Faulk have been allowed to do so. When he wasn’t teaching, Wilfork was rehabbing. His goal was to be on the field on Day 1 of training camp. And on July 24, he was. No setbacks, no delay, no physically unable to perform list. As the Patriots opened camp, No. 75 strode onto the field, helmet in hand, ready to get back to what he loves. 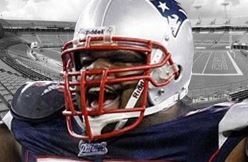 It was easy to wonder how Wilfork’s body would respond. He was 31 at the time of his injury and weighs more than 300 pounds, necessary for a player in his position. And an Achilles’ can affect a player’s power, which is paramount when playing on the line. But he feels he’s not only back to being the player he was, he’s even better. Through watching film, there were things he picked up that he wants to do a little bit differently, and as he rehabbed, he concentrated on his footwork, hands, leverage. “I think I’m as strong as I’ve ever been in my career, I know it’s as strong as I’ve ever been in my career,” Wilfork said. “That was one of the main things I wanted to make sure of, too. I wanted to make sure I was at the top of my level strength-wise, that way I wouldn’t have no issues whatsoever with the Achilles’, and I don’t. “He also looks quicker than he has been,” Bianca said. “I just watch him, so I notice things, and I don’t know if he sees the quickness that I see or not, but he’s coming off [the ball] fast and he’s looking good. He’s right there on every play. While the Wilforks both say they had no doubt he would be able to come back, there was no way to know how he would respond. A contract negotiation with the Patriots got contentious, and Wilfork reportedly asked to be traded. Maybe time has healed things a bit. “At the end of the day, I feel it was fair,” Wilfork said. “I had to deal with reality. The reality is, I didn’t know how I was going to come back from the injury because I’ve never been injured. Both sides felt that way, I felt that way. On Sunday, when the Patriots open the season in Miami, Bianca will be in her customary spot, behind the team’s bench. As she prepared for the trip, she was anxious and excited to see her husband back on the field in a regular-season game. Her husband feels the same. Victor Cruz said in the spring that he finally wanted to be a Giants team captain. And now, he is. On Friday, the Giants named their team captains for the season, and the group included a pair of new additions. 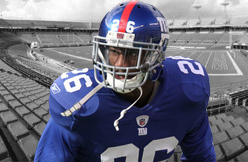 Cruz and linebacker Jon Beason have joined the ranks of Giants captains. Eli Manning, safety Antrel Rolle and long snapper Zak DeOssie round out the Giants' captain group. The team was destined to have some new faces among its leadership this season after an offseason filled with turnover. Longtime locker room voice Justin Tuck departed for Oakland, and offensive leaders Chris Snee and David Diehl retired. But Cruz and Beason were natural fits to assume the captaincy. Cruz is suddenly the elder statesman of a young receiving corps, a mature offensive player. And Beason emerged as a leader practically the moment he took the field as a Giant last season, quickly becoming a steadying presence on defense. Ray Lewis won’t be in the huddle pumping up his former teammates (as much as he might like to) Sunday afternoon at M&T Bank Stadium. But he did give a speech to the Ravens after Friday’s practice, two days away from kicking off their 2014 season. It wasn’t one of Lewis’ well-known “Dogs in the house!” speeches, as Lewis has gotten a little more introspective since retirement. It was Lewis’ first time back at the Under Armour Performance Center since the Ravens’ ring ceremony following the Super Bowl XLVII victory in June 2013. Lewis was in town for his statue unveiling Thursday at M&T Bank Stadium. He passed on the theme of his speech at the statue dedication to the Ravens players. For many of the Ravens players, it was their first time hearing one of Lewis’ inspiring speeches in person. They had been around Lewis earlier this summer when he dropped in on the team’s open practice in Annapolis. Lewis walked off the field chatting with undrafted rookie inside linebacker Zachary Orr, who was one of the biggest surprises to make the 53-man roster. Orr had a different takeaway. DENVER — Yasmani Grandal was not in the Padres’ starting lineup Sunday. Amid the elevation of Coors Field, he had caught nearly 12 full innings the night before. Meanwhile, in the Padres’ series finale against the Rockies, Rene Rivera made his 70th start behind the plate this season. Grandal, once the presumed No. 1 catcher, has started 63 games at the position. The reasoning behind the unexpected division of duty can be viewed as twofold: One, Rivera has simply been too valuable a defender and game-caller while routinely catching the Padres’ top three starters. Two, Grandal is still working to regain full strength behind the plate. Just 13 months ago, Grandal underwent reconstructive surgery on his right ACL. In order to lessen the stress on his knee and to keep his bat in the lineup, the Padres have given him 18 starts at first base this season. In 21 overall appearances there, he has committed three errors, for a .980 fielding percentage. Seven of Grandal’s last nine starts have come 90 feet from the plate. Until this year, he had never played the position professionally, though he’d long been in the habit of taking grounders at first. Grandal said his agent called him earlier in the year to recommend finding a first-base glove. From a health standpoint, the recent workload at first has helped. Multiple times this season, Grandal has tweaked his batting stance, most notably standing straighter, to take pressure off his right knee. In 316 at-bats, he is hitting just .209 with 11 home runs and 35 RBIs. Given Rivera’s career year, next spring could feature an intriguing catching competition. 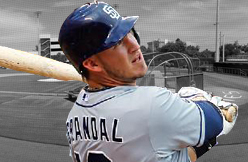 The Padres could conceivably take an even longer look at Grandal as a first baseman, though the 25-year-old said he hopes to return to catching full-time in 2015. MILWAUKEE - For Jon Jay, this season has not been easy. The St. Louis Cardinal organization, feeling Jay's defense in 2013 was substandard, traded in the off-season for speedy center-fielder Peter Bourjos. And they gave Jay just a one-year contract, something most players would have interpreted as a not-very-subtle message. Cards skipper Mike Matheny knew how Jay must have felt so he called Jay after the Bourjos trade. "I told him I didn't know how all this would play out. I said we'd figure it out as we went along. He knew he was not as good defensively as he needed to be. He said he thought he could have done better." Matheny said he knew the outfield competition would be good for Jay and the ball club as a whole. "(Players) need to be pushed," he said before Saturday's crucial ball game with the Milwaukee Brewers. "Guys are motivated by a lot of things - contracts, (playing time), and all that. Jon came in here with Bourjos, Randal Grichuk, Oscar Taveras and he worked hard to help those guys get better. He bought into the culture (of the Cardinals.) I believe that comes back around," he said. Whether it is karma, competition or just a renewed commitment, Jay has excelled both offensively and defensively in 2014. Entering Saturday's game, Jay was hitting a team-leading .321 (.391 on-base percentage). with 15 doubles, 39 RBIs and an uncanny ability to get on base when it counts the most, including 16 times hit by a pitch. But beyond those numbers lies Jay's other contribution to the Cardinals' success, his willingness to work with young players. That culture, said Redbirds' utility infielder Daniel Descalso, is something the team prides itself on. Descalso said the extra effort to make players feel welcome was something he experienced when he first arrived in the clubhouse. Descalso credits former Cardinal outfielder Skip Schumacher with encouraging him to pass on that camaraderie, a suggestion he and Jay have taken to heart. Still, Matheny said, he is very sensitive to the mood in the clubhouse and understands what players are feeling. "There are days when Jay's not happy (because he's not in the line-up). I know that. I understand it. I've been that guy. But he'll tell me he's ready to do whatever I need him to do, that he'll be ready. And he means it." Matheny said Jay's defensive improvement, his toughness, and the ability to put together quality at bats is one big reason why the Cardinals have been in contention all year. While he knows that not playing on a regular basis is hard on Jay and some of the younger Cardinals, he will continue to ride the hottest hand. "We're all in," Matheny said. And so far the skipper has pushed all the right buttons at exactly the right time. Gaby Sanchez went 3-for-5 with two doubles, an RBI and two runs scored in Sunday's win over the Cubs. Getting the start against left-hander Travis Wood, Sanchez made the decision pay off. He hit an RBI single in the fourth inning while adding two doubles in the game. Despite the good game, Sanchez has struggled this season, batting .237/.302/.399. There's no such thing as a "Second Half MVP" award, but if the honor existed, Cardinals' outfielder Jon Jay would be a strong contender in the National League. Jay has gone berserk since the All-Star break. In 138 plate appearances he's batting .384 with a .474 onbase percentage and a .491 slugging percentage. That's a .966 OPS. And those numbers are crazy good. Among MLB hitters with a minimum of 125 plate appearances since the All-Star break, Jay is second to Jose Abreu in batting average, first in OBP, and fourth in OPS. The only MLB hitters with a higher second-half OPS are Giancarlo Stanton, Abreu, and Buster Posey. And there's something new to the mix ... Jay isn't a power hitter by trade, but his second-half slugging percentage is higher than that of a long list of notables including Miguel Cabrera, Mike Trout, Bryce Harper, Pablo Sandoval, Carlos Beltran, Robinson Cano and Jonathan Lucroy. Jon Jay ... call him the Angry Bird. And he's making a statement, eh? Jay isn't literally angry but there's no question that there'd an "edge" to his game. It isn't just the offense; Jay made two excellent catches in RF to save Thursday's 3-2 win over the Brewers. So obviously all of his hard work to improve has made a difference. Think about Jay's last 12, 15 months or so. He struggled defensively in center ... he went through some exasperating slumps; as late as July 21st of last season Jay was batting only .247 ... he was streaky ... he batted .192 in the postseason and at times appeared to lack confidence with his play in center ... Shane Robinson started three postseason games in CF in place of Jay, including two in the World Series ... then in December, GM John Mozeliak essentially made a trade to give the Cardinals a new look in center, acquiring Peter Bourjos from the Angels. But there's one thing about Jay that many, including me, have continued to underestimate: his competitiveness. 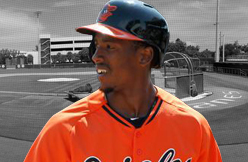 Jay wasn't supposed to beat out Colby Rasmus for the gig in center -- but he did. Jay wasn't supposed to stay around long enough in center to start for a 2011 team that won the World Series, a 2012 team that made it to Game 7 of the NLCS, and a 2013 team that won the NL pennant. Jay wasn't supposed to be as prominent in 2014 -- not with Bourjos on the scene, and outfield prospects Oscar Taveras and Randal Grichuk on the way. Talk about survival skills. Jay keeps working and working and working to improve ... he's definitely wired for competition. He's willing to fend off challengers. He doesn't pout or go into the tank. If a GM or a media jackal or even the manager is inclined to move Jay aside, he always has a response. Which basically amounts to this: Forget about it. I won't let that happen. You'll see. Jay refuses to say goodbye. By now it's pretty obvious that you can't kick him out of here. And why would you want to? The Jon Jay that we've been watching for the last couple of months is playing the best ball of his career. Oh, I'm aware of his inflated average on balls in play (.441) since the All-Star break. I'm aware that no one can stay this hot over a really long period of time. I know that Jon Jay -- with all due respect -- isn't Ichiro Suzuki, circa 2004. But right now Jay is hitting like the peak-form Ichiro. It's nuts. Jay's second-half OPS is 75 points higher than the next Cardinal on the list, Matt Holliday. Jay's been that much better than everyone else on the team. Moreover, the combo of Bourjos in CF and Jay in RF gives the Cardinals plenty of defensive giddyup. They're getting to the liners and flies and drives. You should have heard Brewers Hall of Fame broadcaster Bob Uecker raving about the Jay-Bourjos defense during Thursday's radio broadcast. We can talk small sample sizes and all of that, but Jay has been one of the best players in baseball since the All-Star break. That is a fact. The Angry Bird won't be shooed away.